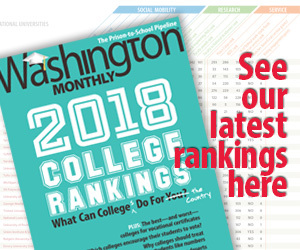 Washington Monthly | Why Do Lawyers and Law Students Get So Depressed? Why Do Lawyers and Law Students Get So Depressed? Last year I learned some astonishing statistics that roused me into action, courtesy of a brilliant and courageous series of posts by Brian Clarke (part one, two, and three).Â When entering law school, students are no more depressed than the general population (about 8%), but by the end of their first year about one in three is depressed.Â Around 40 percent get depressed by the end of law school.Â Lawyers are almost 4 times more likely to get depressed and 6 times more likely to kill themselves than the average member of the adult population.Â My action thusfar has been local (at Santa Clara).Â This post, though, is about something bigger. The California bar has a policy that, I think, impedes efforts to promote mental health, and it’s my New Year’s Resolution to fix it.Â For the non-lawyers out there, passing the bar requires both a written examination and an evaluation of the candidate’s moral character (sometimes also called moral fitness).Â Basically, you want smart people (the test) who also won’t lie or cheat (moral character).Â I’m all in favor of assessing moral risks, insofar as it’s possible, but, unfortunately, California also asks prospective applicants a question that isn’t closely related to moral fitness.Â Question 10.2 (pdf—go to page ten) reads Â “Have you been diagnosed or treated for a medically recognized mental illness, disease or disorder that would currently interfere with your ability to practice law?”Â Although questions like this one aren’t unique to California, I’m focusing on it because I’m a member of the California bar and teach in California. For the remainder of this post I’m going to point out what I think are someÂ problems with this policy: it seems to require disclosure of mental illnesses that are being treated, it discourages law students from getting help, and it might even violate the ADA.Â In a subsequent post I’ll lay out my strategy for changing the policy.Â In both instances, though, I’d welcome suggestions from readers about where I’ve left things out, gotten things wrong, or missed making my points as forcefully as possible. Like much legal writing, it’s not entirely clear what the question means.Â A clearer question would be “Are you currently unable to practice law due to an untreated mental illness, disease, or disorder,” which would mean that applicants receiving effective treatment would be admitted.Â The bar, though, asks about diagnoses in addition to treatment, suggesting that the thing itself—not whether it can be treated—is the problem. The bar provides some clarification on the terms it uses (on the same page as the question).Â First, currently “does not mean on the day of, or even in the weeks or months preceding, the completion of the application. Rather, it means recently enough so that you believe that the mental condition may have an ongoing impact on your functioning as an attorney.”Â So currently could mean within the prior year, but it also suggests that “currently” also somehow covers whether or not the applicant can function effectively.Â It would be better to separate these two meanings into different parts of the question. What about “mental illness, disease, or disorder?”Â The plain language would include conditions like depression, but the bar’s clarifying language indicates that it “includes mental or psychological conditions or disorders, such as, but not limited to, schizophrenia, paranoia, bipolar illness (manic depression), sociopathy or any other psychotic disorder.”Â It seems (but is unclear) that ordinary depression (as opposed to manic depression) is not covered—depression is not listed as a psychotic disorder according to the NIH—but this isn’t all that clear from the plain language.Â Is depression excluded because it is not a psychotic disorder, or is it included because the explanatory language is just meant as a list of non-exclusive examples? One suggestion for fixing the language would be to specify which diseases are covered under question 10.2, specifically whether the disorder has to involve delusions or hallucinations.Â That might still pose other problems, but it would take care of what I see as overly inclusive language that potentially includes depression. Why ask about diagnoses at all? In the first semester of law school (the first month, actually), I broke my ankle in three places.Â If I hadn’t gotten treatment for this diagnosis, it surely would have interfered with my ability to practice law—I’d have been in too much pain to concentrate on much of anything, and complications from an unset bone could have been severe. Â Since law school I’ve seen my eyesight worsen, and I’ve had illnesses that I needed to treat with antibiotics.Â These maladies, too, would have interfered with my ability to practice law if I hadn’t gotten glasses or a prescription. Depending on how you read the word “currently”—and the bar’s suggestion is to read it expansively—a law student who has been diagnosed with a mental illness, disease, or disorder will have to report this to the bar. Â As I’ve already indicated, law school is full of students who develop depression. Â As long as there is no diagnosis or treatment, however, there is no need to respond in the affirmative to the bar’s question.Â I know from several students that they have done exactly that—avoided getting help for fear of failing the moral character examination.Â It is certainly possible to read “mental illness” as excluding depression, and it is also possible to read “currently” as excluding illnesses for which the treatment is effective, but the policy needs clarification. Consider this thread from JD Underground, where students discuss “red flags” on the moral character application, which includes depression.Â One student says “Do not talk to law school deans. Do not talk to law school professors. Do not agree to disclose anything to the bar unless you talk to a competent lawyer.”Â I have heard similar things from students. Â The last thing a student in crisis should do is isolate herself, or to feel like she should be ashamed about it. Â But students listen to their peers on this subject. Â It’s one thing for a professor to tell a student to come forward—the bar has to speak more forcefully and authoritatively about this. The point, though, is that the bar doesn’t want to exclude people with mental health issues from practicing law.Â The California bar has created the Lawyer Assistance Program has a program for “Â lawyers and State Bar applicants who are grappling with stress, anxiety, depression, substance use or concerns about their career.” Â Question 10.2 should be fixed in order to be more in line with lawyers’ needs (and the focus of the bar itself). That’s it for my diagnosis of the problem—I’d love your feedback on what else I might have missed.Â In Part II, next week, I’ll discuss what my suggestions are for treatment.